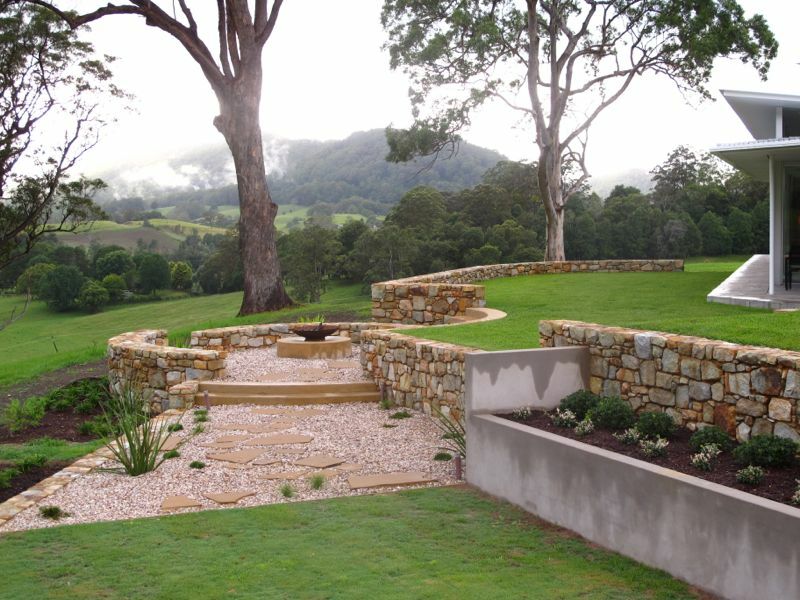 This project set in the Coffs Harbour Hinterland, sits neatly on a small hill in a lush green valley. 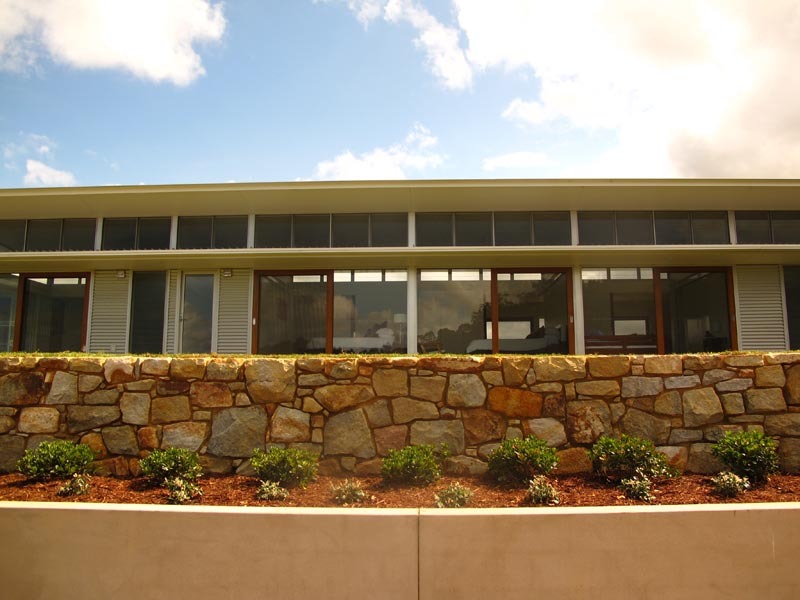 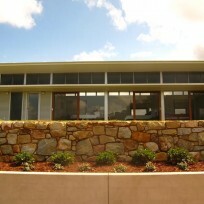 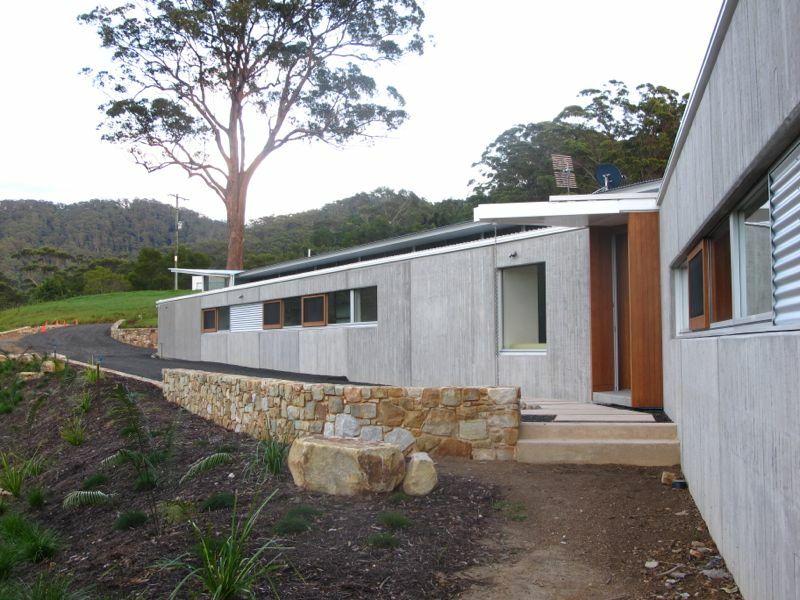 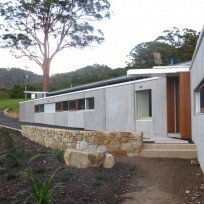 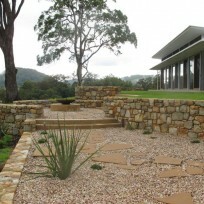 The house is elongated along the crest of the hill, the stone work wraps around the house and defines the landscape. 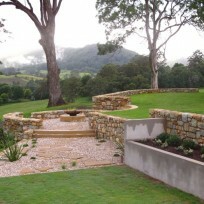 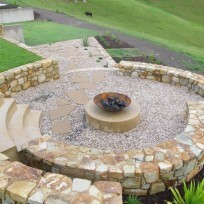 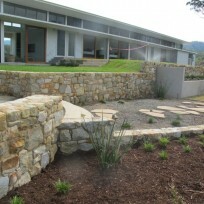 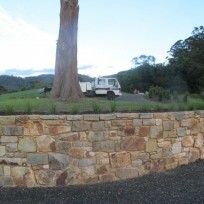 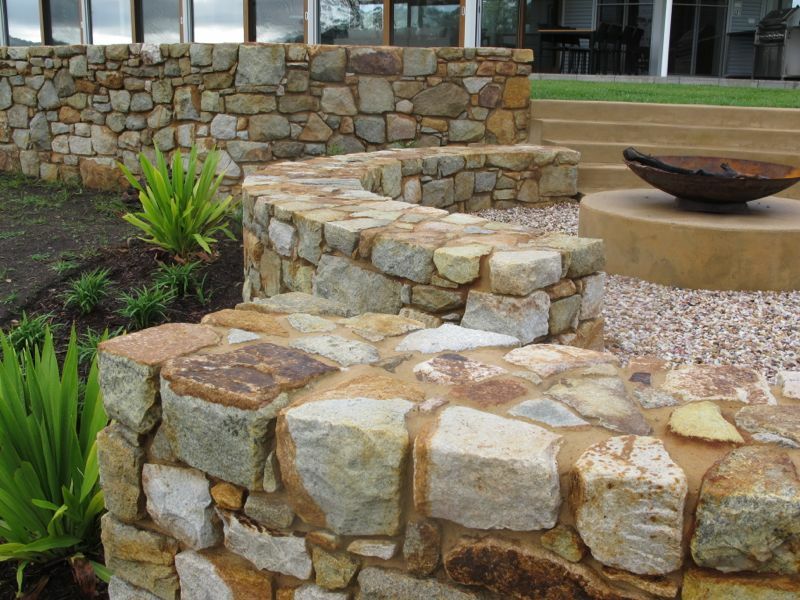 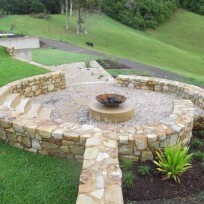 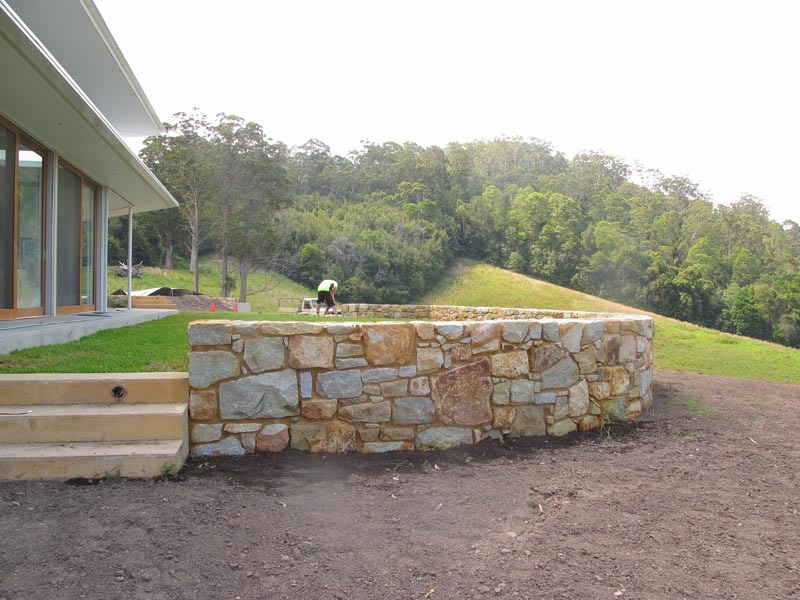 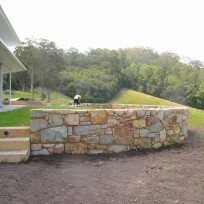 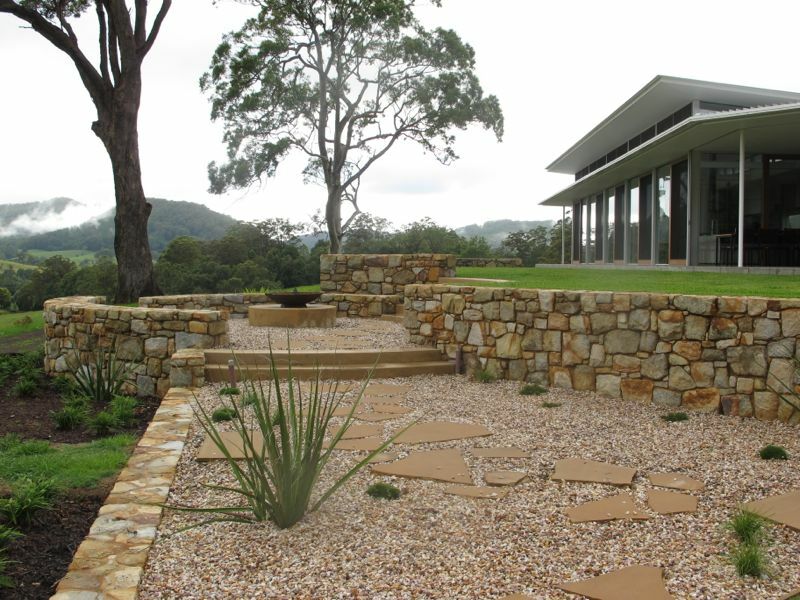 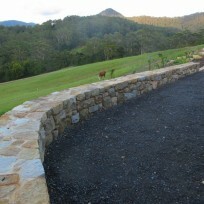 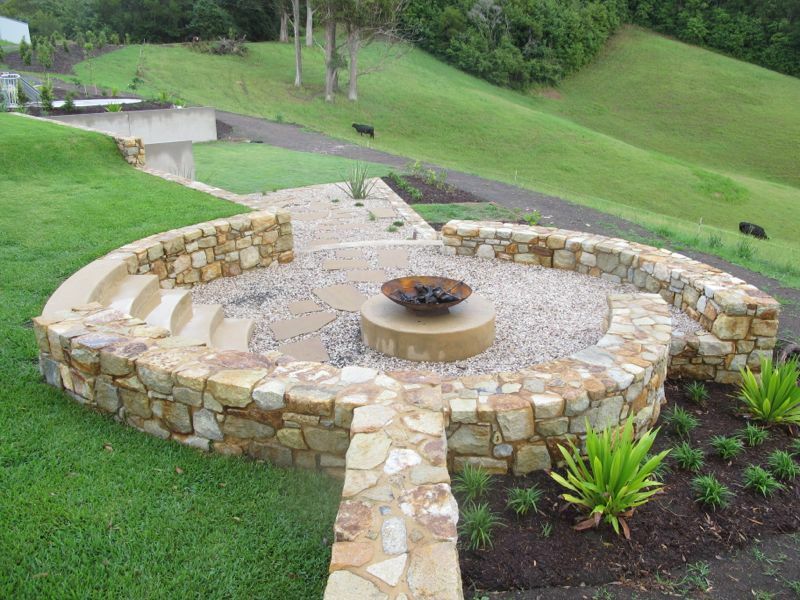 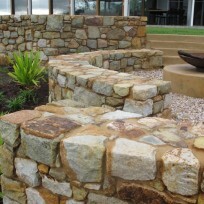 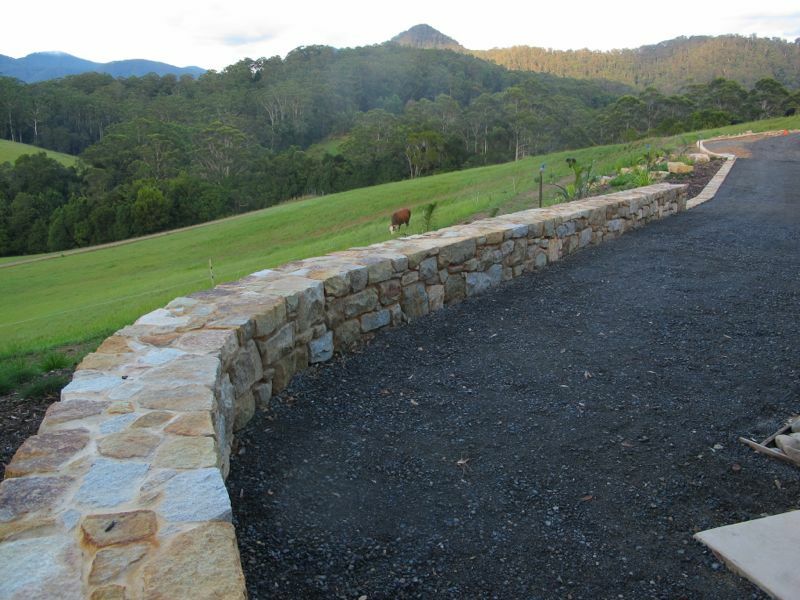 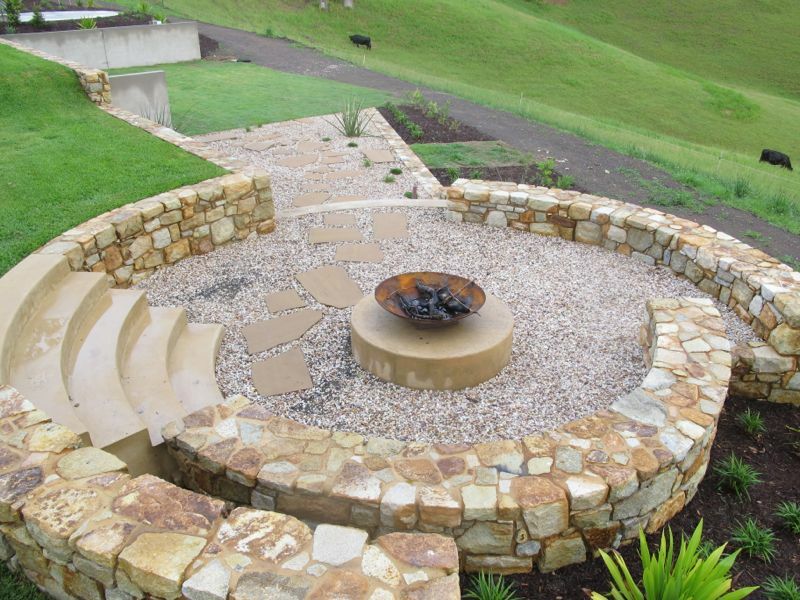 The landscape and the extensive stone work was designed by Garden Expressions. 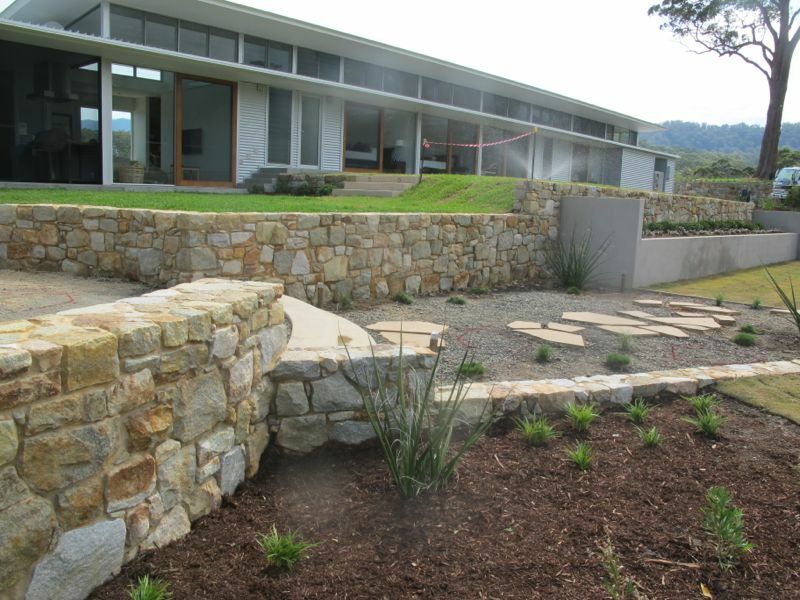 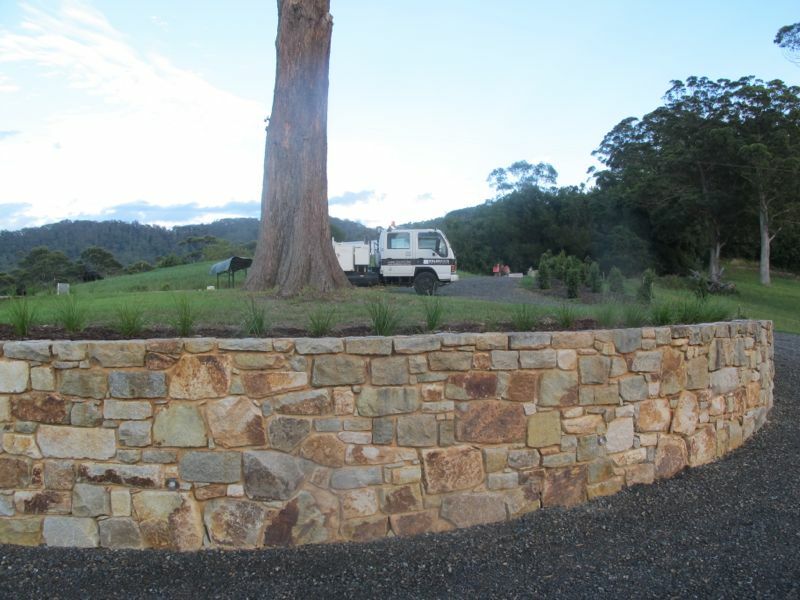 The stone used is Valla Granite all 140 tonnes, the work took 59 days on site, just over 200 bags of cement and over 24m3 of sand.